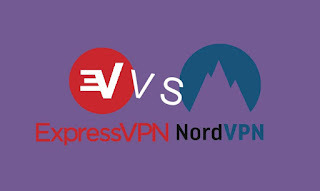 When I was looking for a VPN service most reviews bounced back between ExpressVPN and NordVPN regarding recommendations. So, I decided to give one of these two a try. The first thing I looked at was the features each offered. The services offered through each was the same, they each offer apps for my Android phone and my Windows computer. They each offer the option to connect to multiple servers throughout the world. And they seem to treat user data about the same. They also both offered the same 30-day money-back guarantee. The second thing I looked at was the price. Both services offer multiple choices based on how long you purchase a plan for. If just going monthly Nord is $11.95 a month down to $2.99 a month for a three-year plan. Express doesn’t offer a three-year plan instead offers three options, a one month starting at $12.95, up to a one year offer for $8.32. For each, I went with the one year offer making Nord the lower cost of the two at $6.99 for the one-year plan. Signing up is easy enough, enter info, add a credit card, make payment, install the app on your computer and phone. I found almost instantly when connecting with Nord that my connection dragged. They offer more options when choosing locations, so I tried a couple of different options in the US and I tried the UK and no matter where I connected accessing anything on the internet was super slow. Thinking it might be an issue with the connection at my work, I tried it at home as well with the same results. Same when using the mobile app. It is expected when using a VPN that connection speeds will drop. This has to do with the fact that the connection is being routed through the servers of the VPN service. But it dropped much more than was tolerable for me. After a few days of using it, I came to the conclusion that it was just too slow for my needs and contacted them to cancel the service. They emailed me back offering to assist with any troubleshooting, but I feel I’m a pretty tech savvy person and didn’t feel that any troubleshooting they would do would be much more than I already did on my end. I emailed back confirming the cancelation, and they processed it with no issue, refunding the cost. Next, I tried Express, also signing up for the one year option. The sign-up process is also quick, simple and easy. I downloaded and installed the apps for my computer and phone and found my access to sites to be much faster. This was at my work location, home, and using my phone. Express has a few less option for server locations but plenty to select from for my needs. Connecting to locations in the US and the UK as before were no issue. To be clear on a couple of things, this comparison is hardly scientific. If I were serious about it, I would have used them both at similar times and done proper speed tests. Which I did not do. The speeds were based on my own experience. I did do some research and it does appear based on people who did test the two, that Express generally gets rated as the faster o the two services. My conclusion then is Express VPN. It is the one that I am currently using. Nord is the lower cost of the two and has more servers, According to an article I read over 5,200 vs Express which has around 3000. But servers don’t matter if you can’t get the speeds. And for me, I like to be able to access a website quick. Especially if using the Tor browser and .onion sites which are already slow enough. Just like a lot of things in life, you get what you pay for. Nord is decent enough offering but should spend a little less on the number of servers and more on improving connection speeds. If you want to give express a try, here is a referral link to use. It will give us both an additional 30 days free. I’m not sure if Nord offers something similar for referrals since I’m not using them anymore.